Synopsis: For generations, the Bradford family has worn the mantle of kings of the bourbon capital of the world. Their sustained wealth has afforded them prestige and privilege—as well as a hard-won division of class on their sprawling estate, Easterly. Upstairs, a dynasty that by all appearances plays by the rules of good fortune and good taste. Downstairs, the staff who work tirelessly to maintain the impeccable Bradford facade. And never the twain shall meet. My take: Reminiscent of the nighttime soaps of the 70s and 80s, Dallas and Falcon Crest, The Bourbon Kings is the story of the Bradford (Baldwine) family who make bourbon. They are filthy rich and have the problems associated with the filthy rich. The family is made up of a hateful patriarch, a mother who never comes out of her bedroom, a physically and psychologically wounded oldest son, a middle son who disappeared by choice, a younger son who having returned home feels the need to be responsible, and a daughter, the youngest child, who faces an impossible situation. The supporting characters are colorful and add layers to the story. I won’t go into the plot more than sharing the publisher’s synopsis. If The Bourbon Kings sounds like your kind of entertainment I think you’ll enjoy it. I liked it and look forward to the second book in the series. If you’re heading to the beach for the Labor Day weekend this would be the perfect book to toss in the beach bag. 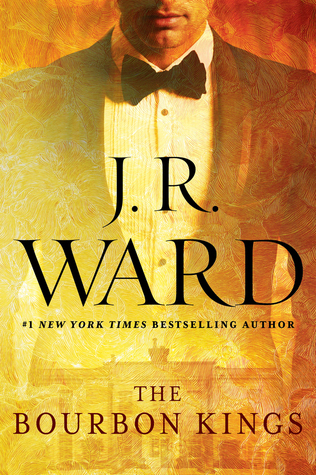 This summer Ward introduces a new contemporary series set in her adopted home state of Kentucky with the novel The Bourbon Kings. The series will follow the intertwined and scandalous fortunes of several ultra wealthy Kentucky families who have made their fortunes from bourbon.